Hello! I'm Ashley, but usually known around the 'net as Hedj. I'm 18 years old, currently living in the UK and studying ICT, English Language and Music in a Sixth Form. But hopefully I'll be going to University to study Computer Game Design next year! I also go on Dragon Cave! These are my growing dragons, please click them! 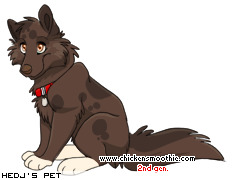 I recently got pets on Chicken Smoothie! 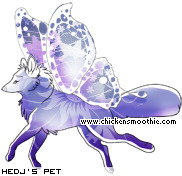 Aaaand I'm on Gaia too, as Hedjie! Could you take your marshmallow to the camp fire please. There was a bug before. Ha ha, I stole your Ribbon! 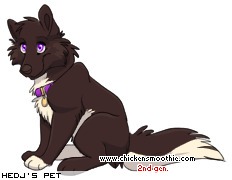 Ashley.. are you willing to trade the green wolf with different eyes colur? *w* i really adore it! Could I/you recolor the wolf ears and tail for an item? Also, would you like to join my role-play?